MycoKey develops new approaches to mycotoxin management: integration of output arising from the global knowledge harmonization, by involving international experts in gathering scientific knowledge on key topics, and obtained research data allows new smart and user-friendly MycoKey app. This system represents a step forward for scientific practical advises to growers, stakeholders and researchers. The project is enhancing the EU-China dialogue, by involving the Chinese Consortium in linked research activities conducted at regional levels, and contributes to strengthen skills of young researchers and awareness about mycotoxins risks on human and animal health. Alliances/scientific agreements with EU funded projects, especially with the MyToolBox project, are enhancing the international cooperation. On-site applicable and ICT new integrated solutions are developed in the field of toxigenic fungi and mycotoxin monitoring along the chain. Integrated prediction models are under development for efficient crop management and stakeholders use. The approach is based on: a) risk models combination and control systems on site, b) development of new (multi)-mycotoxin screening methods on-site for multi-mycotoxin in situ and on-line analyses detection technologies for customized use in an open source environment.New validated detection methodologies and advances in knowledge on mycotoxins modified forms, which are of interest for legislators will be available. 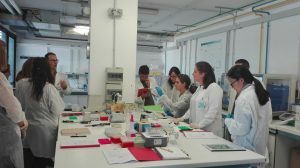 In the field of prevention and intervention, the project is enhancing the potential of aflatoxins biocontrol in maize and peanuts, by applying it to emerging high risk areas in Europe (Italy, Serbia, Romania) and China. 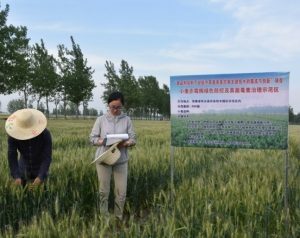 Sustainable control strategies based on natural compounds and biological control agents to be used in FHB and aflatoxin prevention are in progress and studied for market application.New less susceptible wheat genetic material is under selection. Less toxic and more effective new fungicides are tested. 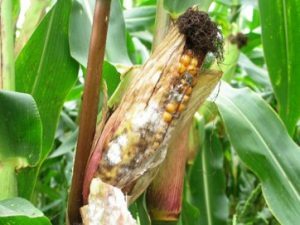 Novel post-harvest green solutions, sanitation techniques and cleaning equipment to reduce mycotoxins in food products are in progress for industries. New feed additives will be available, based on multi-mycotoxin detoxifying agents, and criteria and protocols validated and standardized, in line with EU regulations and EFSA guidelines. The safe use options solutions will release effective biological methods for mycotoxin detoxification and cost effective production of biofuel from mycotoxin contaminated biomasses. Finally, 21 manuscripts were published in peer reviewed journals. two Round Tables organized in Ghent and the MycoKey Charter web-site launched. Use of environmental on-site sensors. Modified mycotoxins and their in vivo toxicokinetics research is ongoing. selection of less susceptible maize hybrids to Fusarium Ear Rot and wheat varieties to FHB. identification of potential technologies for malting industry. Pleurotus laccase enzymes proven to be effective for in vitro degradation (up to 100 %) of AFB1, ZEA, AFM1. Interface of the MycoKey app designed, beta version developed. 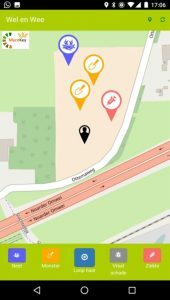 The companion app OnTheSpot was generated to allow georeferenced recording of events and remarks in the field using a mobile phone. 2 training courses have been organized in Italy in 2017.